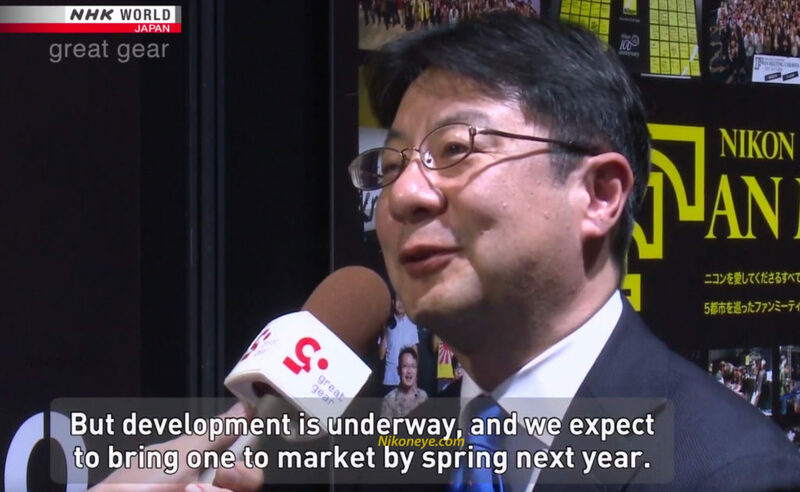 In an interview with the Japanese TV network NHK Nikon confirmed that their new High End Mirrorless System camera(s) will hit the market in Spring 2019. You are welcome to subscribe our RSS feed and follow us on Facebook to not miss any future news and rumors! Nikon is working on a sensor with native dual shutter mode. 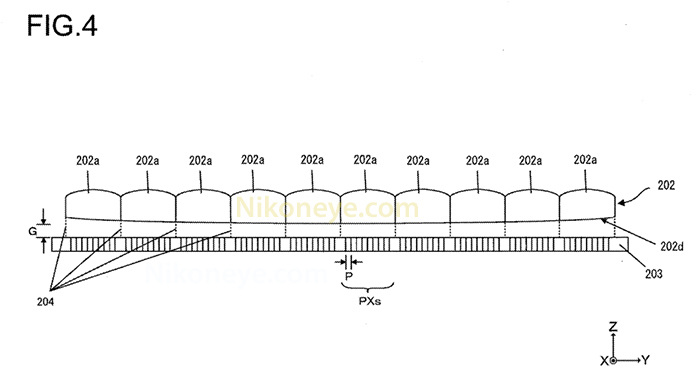 There is abrand new Nikon patent application that shows a new way of creating an in camera stabilization system. 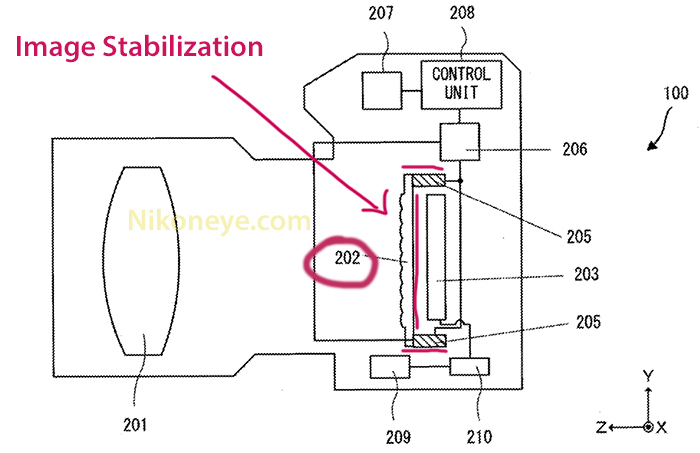 Currently Sony, Olympus, Panasonic, Ricoh and Fuji do implement mechanism to stabilize the entire sensor. 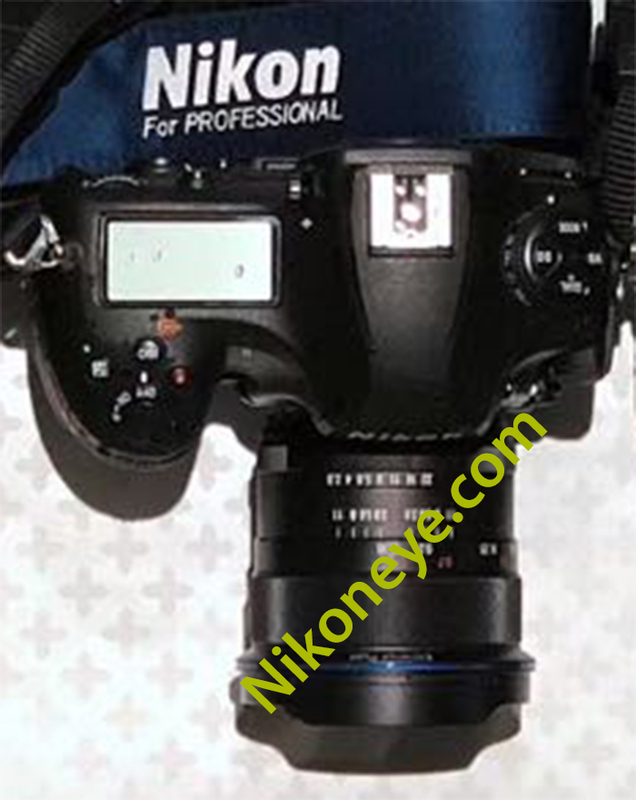 In this patent Nikon has a different approch. The sensor stays fixed while the lens array on top of the pixels is moving on four axis to stabilize the image. On the images you can see the lens array marked with the number 202. The LF camera 100 of this embodiment is endowed with a VR (Vibration Reduction) function that suppresses influence of shaking (so called “camera-shaking”) generated when image capture is performed while the camera is being held by hand. Let’s see if this is something we are going to see implemented in a future mirrorless camera. 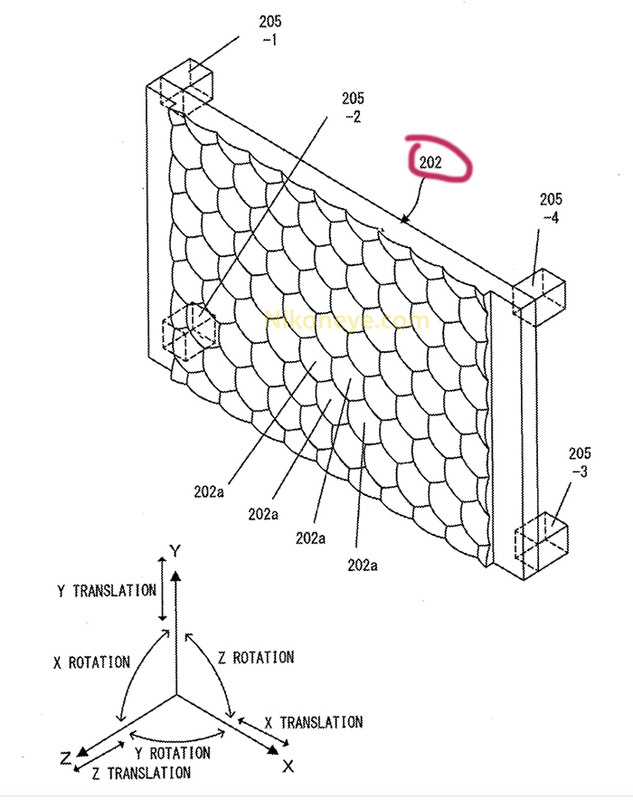 Of course, this is only a patent for now which is no guarantee that we will ever see this tech used on any camera.